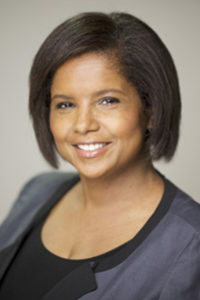 Sheila R. Foster is a Professor of Law and Public Policy (joint appointment with the McCourt School). Prior to joining Georgetown, she was a University Professor and the Albert A. Walsh Professor of Real Estate, Land Use and Property Law at Fordham University. She also co-directed the Fordham Urban Law Center and was a founder of the Fordham University Urban Consortium. She served as Associate Dean and then Vice Dean at Fordham Law School from 2008-2014. Prior to joining Fordham, she was a Professor of Law at the Rutgers University in Camden, New Jersey. Professor Foster writes in the areas of environmental law and justice, urban land use law and policy, and state and local government. Her most recent work explores questions of urban law and governance through the lens of the “commons” exemplified by her article The City as a Commons, Yale Law and Policy Review (2016) and forthcoming MIT Press Book, The Co-City. Professor Foster has been involved on many levels with urban policy. She currently is the chair of the advisory committee of the Global Parliament of Mayors, a member of the Aspen Institute’s Urban Innovation Working Group, an advisory board member of the Marron Institute for Urban Management at NYU, and sits on the New York City Panel on Climate Change.As co-director with Christian Iaione of the Laboratory for the Governance of the Commons (LabGov), she is currently engaged in the “Co-Cities Project,” an applied research project on public policies and local projects from over 100 cities around the world. Meeting the Environmental Justice Challenge: Evolving Norms in Environmental Decision making, 30 Environmental Law Reporter 10992 (November 2000). Sheila R. Foster et al., Community-Based Assessments of Adaptation and Equity, 1439 Annals N.Y. Acad. Sci. 126-173 (2019). Sheila R. Foster, Rae Zimmerman, Jorge E. González, Klaus Jacob, Howard Kunreuther, Elisaveta P. Petkova & Ernest Tollerson, Resilience Strategies for Critical Infrastructures and Their Interdependencies, 1439 Annals N.Y. Acad. Sci. 174-229 (2019). Sheila R. Foster & Christian Iaione, Ostrom in the City: Design Principles and Practices for the Urban Commons, in Routledge Handbook of the Study of the Commons 235-255 (Blake Hudson, Jonathan Rosenbloom & Dan Cole eds., New York: Routledge 2019). Sheila R. Foster & Chrystie Swiney, City Power and Powerlessness on the Global Stage, in The New Challenges of Global Cities (Barcelona Centre for International Affairs forthcoming). Sheila R. Foster & Christian Iaione, Urban Commons, in Oxford Bibliography in Urban Studies (Oxford University Press forthcoming). "Pitt law professor Gerald S. Dickinson to challenge U.S. Rep. Mike Doyle in 2020," coverage by Public Source, April 10, 2019, quoting Professor Sheila Foster. "Millennial mayors discuss fresh perspectives, local government with GU Politics," coverage by the Georgetown Voice, January 27, 2018, quoting Professor Sheila Foster. McCourt School of Public Policy announced, November 1, 2017, the award of a NSF grant to Professor Sheila Foster and her colleagues to address the digital divide in Harlem. Story covered by Fordham Law News, October 12, 2017.